Traditional Italian Florentine papers inspired by the Renaissance period feature stunning colors, intricate designs and gold accents. 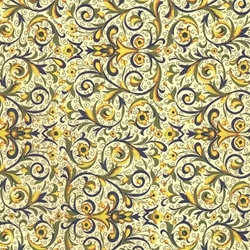 The Lorenza design displays an intricate blue and yellow design against a cream background. Give your project some international flair with traditional Italian papers inspired by the Renaissance period. Each Italian Florentine paper is beautifully decorated with stunning colors, intricate designs and gold accents making them ideal for bookbinding, wedding invitations and origami. These papers can also be used in collage art, home décor and scrap booking. The Lorenza Italian Florentine paper features an intricate blue and yellow design against a cream background. Available in 4 sizes: 6" x 6", 8.5"x 11", 12" x 12" and 25" x 37"